This piece of advice has frequently been cited by peace corps volunteers as the key to community integration. You might be thinking this sounds rediculous or somewhat pathetic, but I’ve come to realize it’s truth. When you live in a country where cultural traditions and social interactions are presented in a language you didn’t know a word of a few months ago, the best way you can learn is through experience. The only catch is you can never know when these experiences will happen. 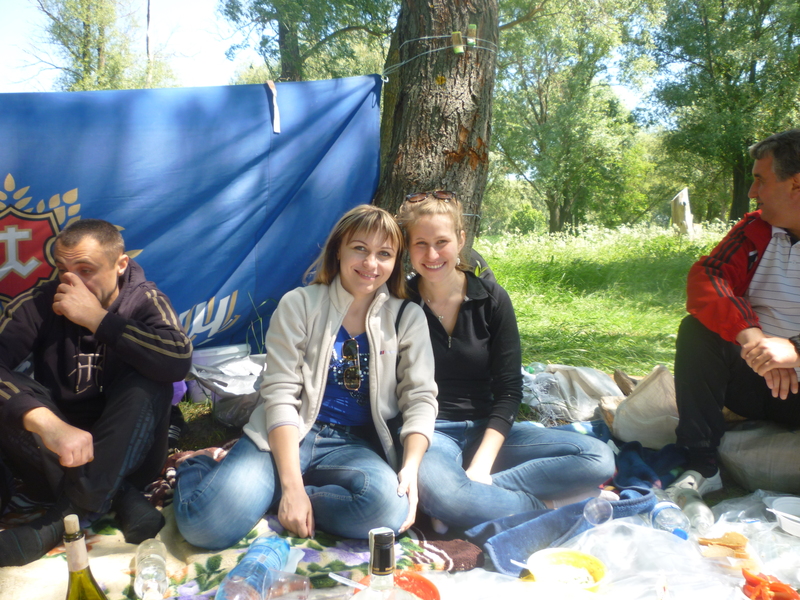 Last week, Lesia invited me to a picnic with the families of the fourth formers. I really didn’t want to go…it started at ten, I had been sick all week, and the last thing I wanted to do was talk to a bunch of people I don’t know in a language I don’t know while holding back a stream of snot. However, before I could refuse, I heard a little birdy chirping in my head, “never refuse an invitation”. So, I didn’t and I am so happy. 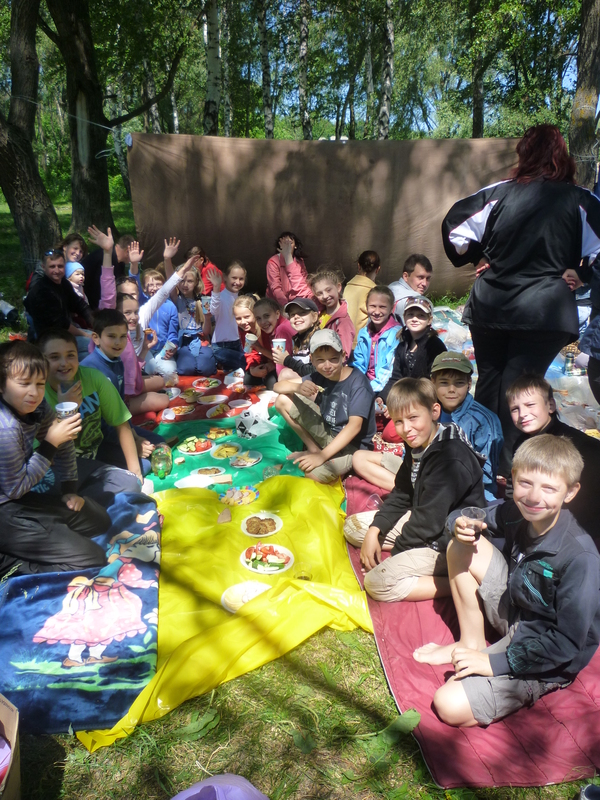 Ukrainian picnics ‘in nature’ (as they like to translate) are famous in the PCV gossip world. The reasons for this are 1) the never ending flow of libations, 2) they often start in the morning and go into the wee hours of the next morning 3) we eat каша & шашлик! (kasha & shashleek). 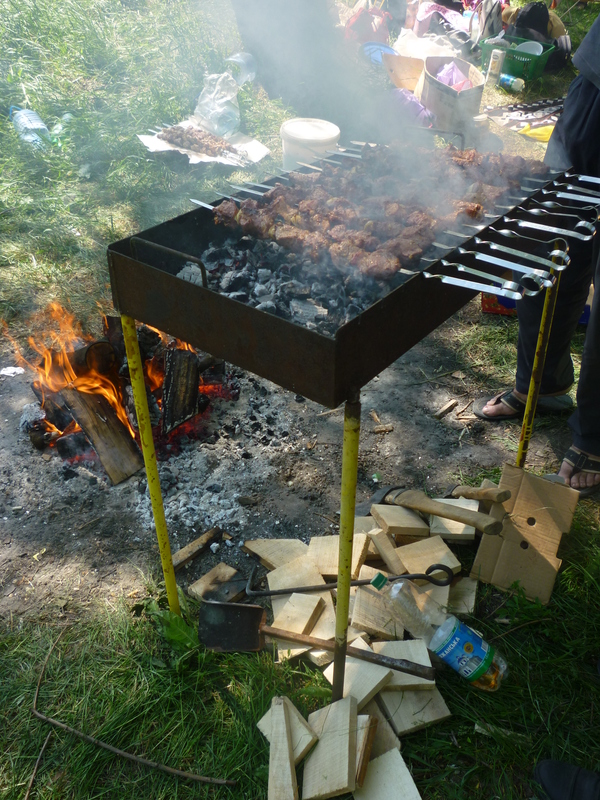 Traditional shashleek cooking set up. However, the most important element is the man who prepares it… They say the shashleek will be ruined if the women help cook. 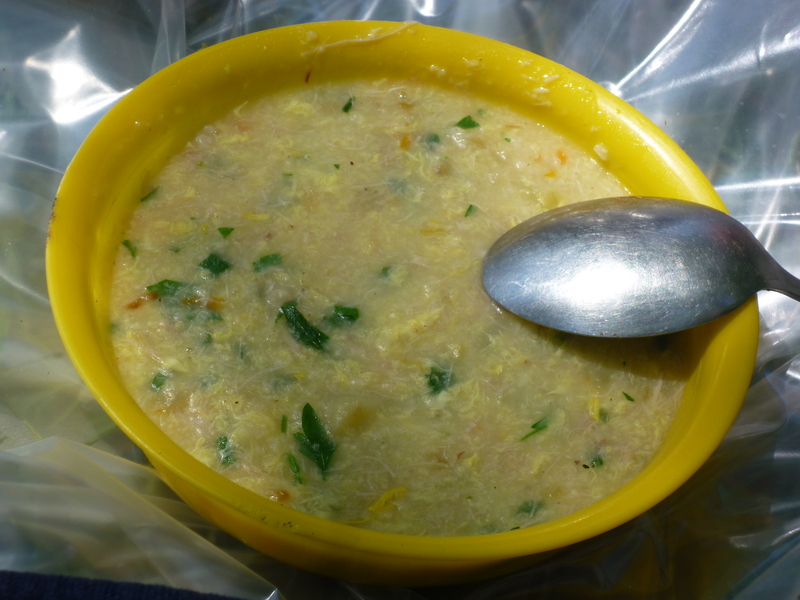 Kasha: a type of porridge mixed with eggs, herbs, carrots, salt & pepper. Delicious! 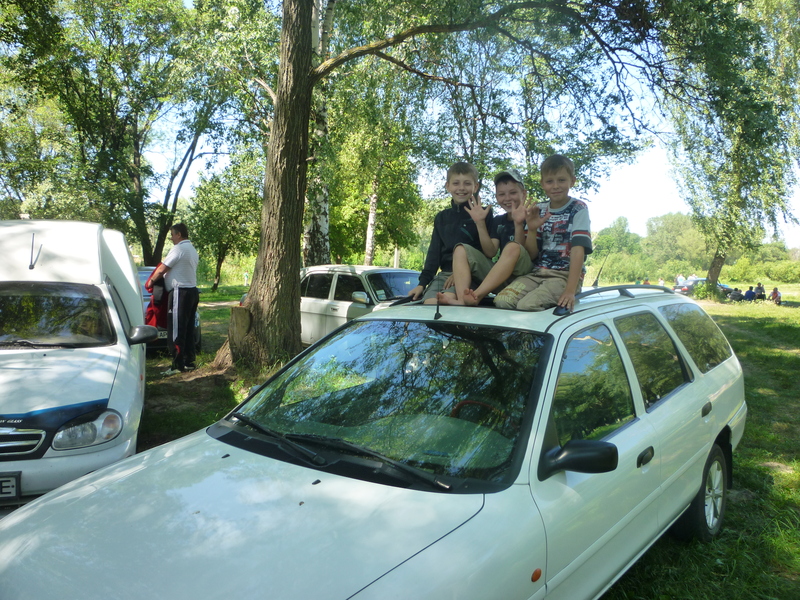 We arrived at the river bank at ten in the morning and I immediately realized these people were professional picnickers. A few of the men had been down earlier to set up two tarps to block the wind. The women had brought an abundance of blankets and carpets that they laid down in an elaborate puzzle with a plastic tarp. I tried to help, but every blanket I laid down was in the wrong place. Soon I realized that the plastic tarps wound around the blankets and were going to be our ‘table’…how clever! Once the sitting area was prepared, the food and alcohol emerged and didn’t stop until twelve hours later. It was a blast and the shashleek was probably the best meat I have ever eaten in my life!